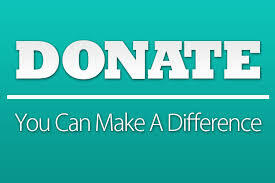 We are a not for profit organization and rely on donations to continue helping people. Would you like to make a tax-deductible donation to the Connecticut Pardon Team, Inc.? Click the donate button to contribute through Paypal. Did you know in some areas you can designate your donation to us by writing in our name through your local United Way Campaign? Even though the Connecticut Pardon Team is not a partner agency of United Way, they will still make sure your designated donation through them comes to us. Please contact the United Way for more details.